wonderful and amazing – such unique post!! Brilliantly beautiful and thoughtful! 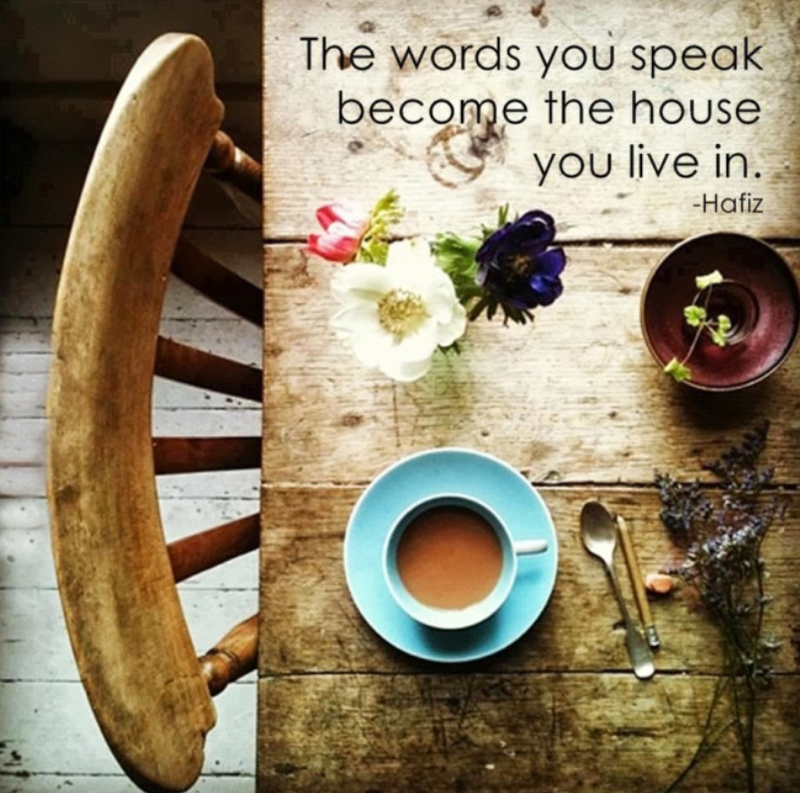 Truly, the words we utter become our very home in the end. What a perfect combo of words and image. And true, at that! I look forward to your quotes – this is another great one. I love the homey photo – I could be content there with a cup of tea and vase of flowers! Thank you, my friend, for your kind words. Be well.